Mercedes-Benz is sending a convoy of Mercedes-AMG G 63s across London this morning. They will set off from Canary Wharf and visit landmarks such as Blackfriars Bridge, Big Ben and Harrods. 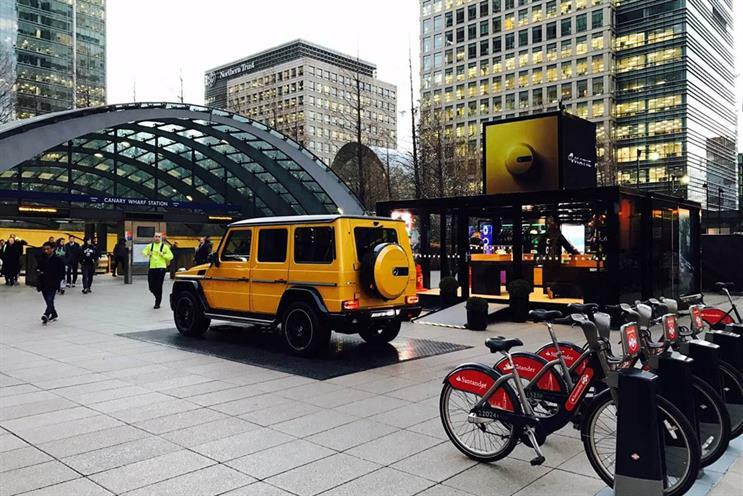 The activation began with a pop-up in Canary Wharf this week that featured interactive digital content around the car. People were also able to get behind the wheel of an F1 seat simulator.